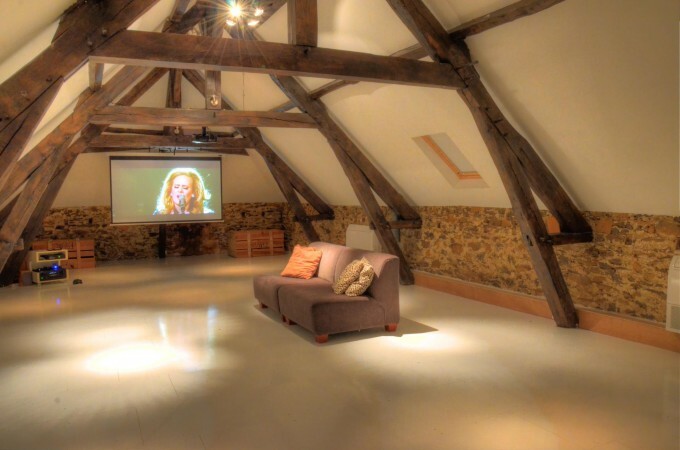 For the summer of 2012, the attic was converted into a spacious and luxurious ‘Entertainment Room’. To offer even more comfort to our guests we have created an ideal place to watch films, listen to music or play a game of table tennis……..or perhaps to just get away from it all. 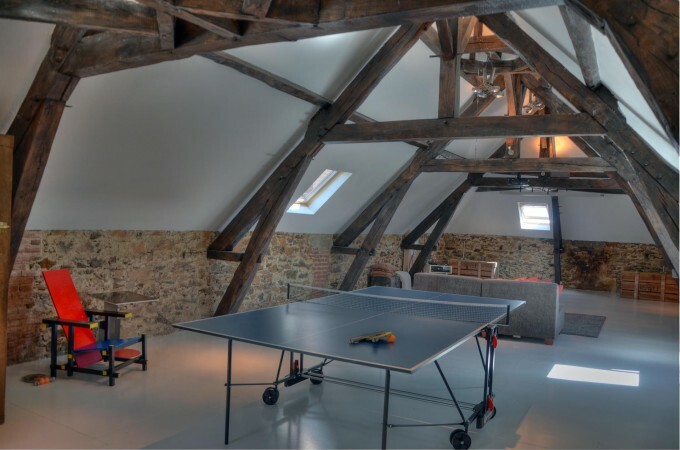 Or on the other hand…………………send your children to this amazing space , and enjoy ‘grown up’ time in downstairs ! The entertainment room (100 m2) is completely darkened in an instant. On a big screen a powerful overhead HD Projector displays DVD and Blu-Ray films, HD satellite TV (incl. Film1- & family subscription) or gaming on XBox360. Powerful surround system makes you believe that you’re in a real cinema. Two air conditioning units maintain an ambient room temperature. The downstairs living room and the entertainment room both have AirPort Express to stream to your laptop (eg iTunes).